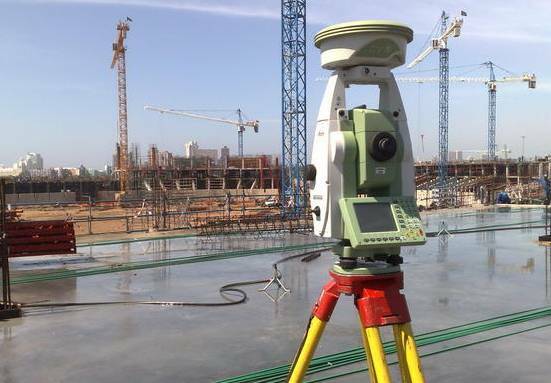 Total stations are one of the most common surveying tools used today. 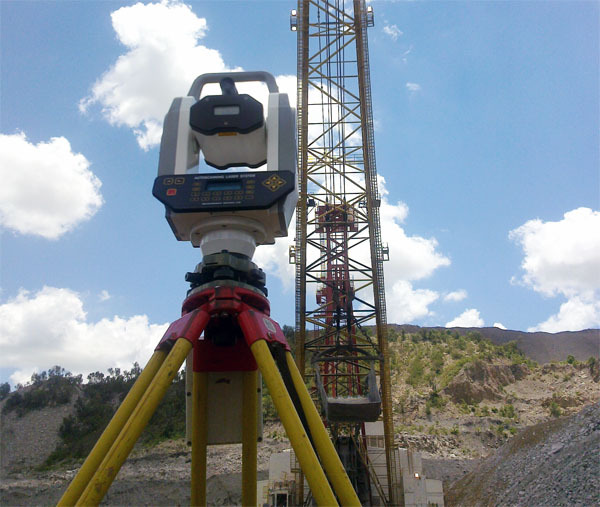 They comprise of an electronic theodolite and an electronic distance metre/measurement (EDM) component. Robotic total stations are also available which allow for single-person operation by controlling the instrument using a remote control. Electronic distance measurement equipment was initially developed around 1940, and was commercially available in the 1960s. The first total station (electronic theodolite and EDM) was developed in the late 1970s. 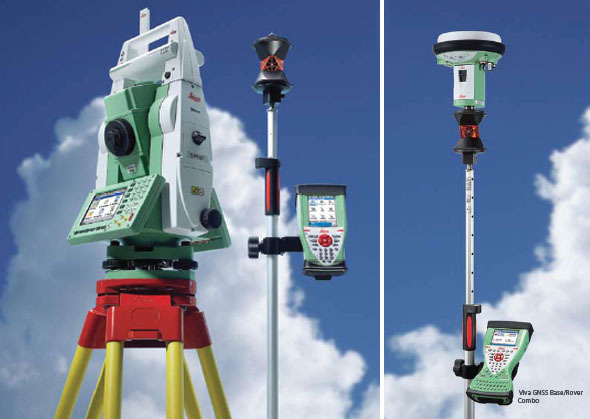 Total stations have the ability to record measurements and angles to data recorders or cards which can be processed using computer software upon return from the survey. For optimal accuracy, they are used with a prism which reflects light waves back to the measurement device to determine a measurement. 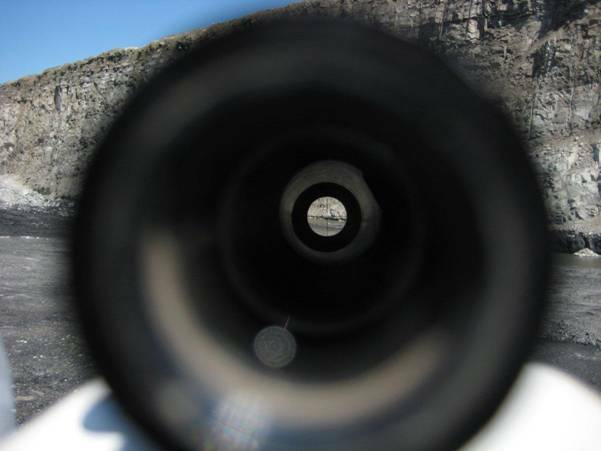 In circumstances where accuracy is not required to be at a maximum, most total stations can be used in reflectorless mode whereby they can obtain a distance measurement to a feature without the use of a prism. 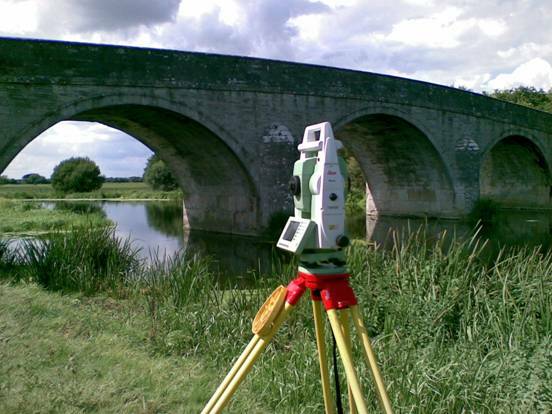 Total stations are not only used for collecting surveys, but also for setting out designs. Using a prism on a plumbing pole (and usually an offsider), a surveyor can determine where pegs need to be placed using the instrument and the design which would have been saved onto a storage card/device by simply pointing at the prism. Most total stations have set-out features and can use loaded design information to determine where the prism is located with reference to the design lines, and provide information on the offset and chainage for the position of the prism (therefore telling where the pole needs to be moved to be in the correct position). 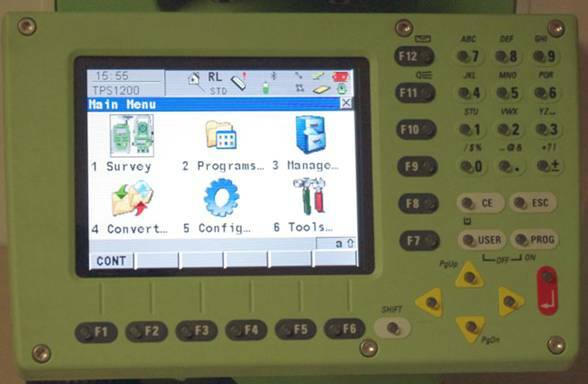 For the purpose of this page, to remain a basic overview of the instrument - we will not explore specific information such as pulse and phase measurements, incremental or absolute angle reading techniques, EDM characteristics, calibration methods or measurement corrections (this is what you learn at university!). 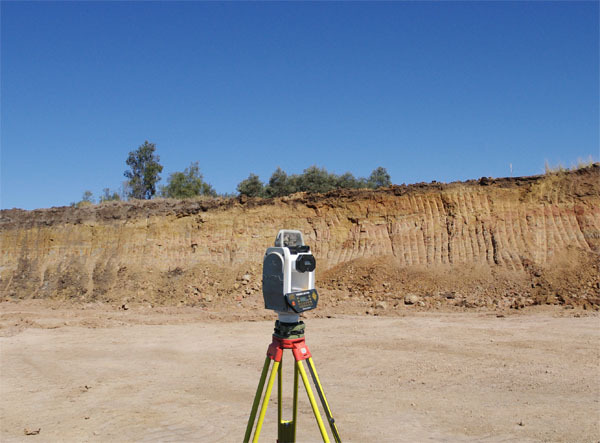 Lasers exist which have been specifically designed for quarry or mining use. The MDL Quarryman is a good example of such lasers. It's a very easy laser to setup, very rugged, easy to survey with, and easy to process it's data. These lasers are not as accurate as a total station and prism combination, with a 5cm/2" accuracy, however they are generally much faster at collecting data without the use of reflectors than most total stations. They are also capable of collecting data in an auto-scanner mode after setting parameters by shooting the points of a bounding box; however are significantly slower at collecting data in an automated mode than an automated scanning laser.